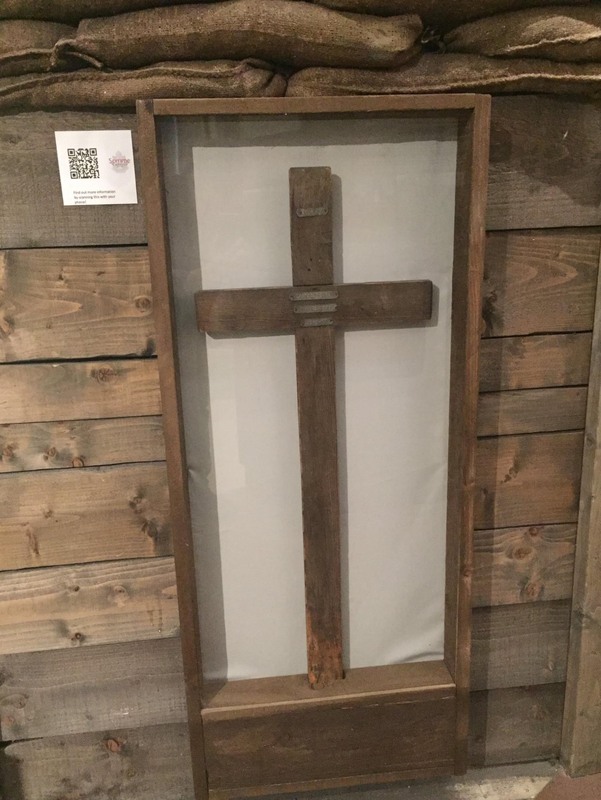 Marker appears to be a standard British and Commonwealth pattern cross, kept in a glass case in the museum in a partial trench display. Difficult to measure due to the case. It is in generally good condition but shows signs of rot to the base from insertion at the place of burial. 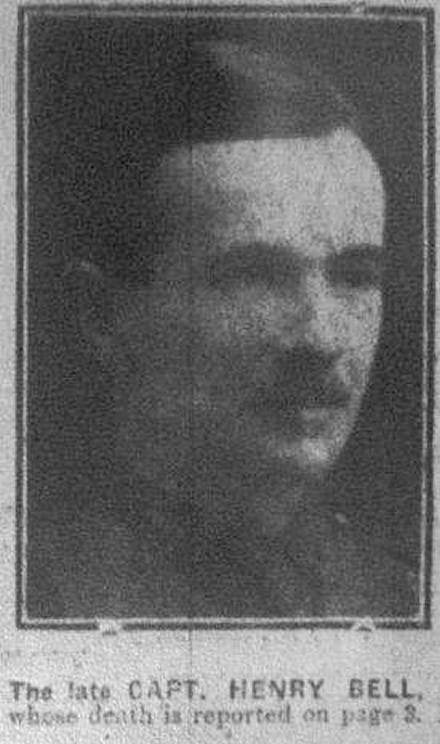 Henry Bell was born in 1890, a Captain in the 5th Border Regiment, he was 27 years old when he died on 25 Jan 1917. It would appear he Died of Wounds. Buried at Dernancourt Communal Cemetery Extension, Somme. Henry was the son of George and Elizabeth I. Bell, of Walmer House, Bothel, Aspatria, Cumberland. Before the war he was training to be a schoolmaster. His CWGC headstone reads Heart of Honour, Soul of Truth. Photographs courtesy of Taff Gillingham. 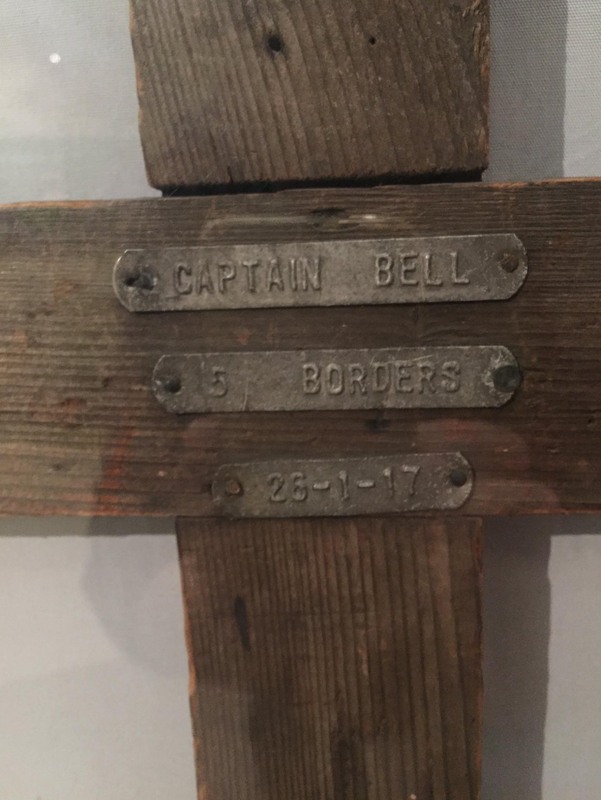 We have a page commemorating Captain Henry Bell on our website. You can clear this message after reading. Do you want a copy of his CWGC headstone?